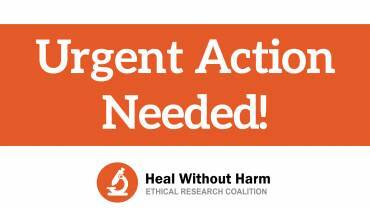 Heal Without Harm is a coalition of organizations and citizens dedicated to working with the scientific community to encourage it toward ethical research. 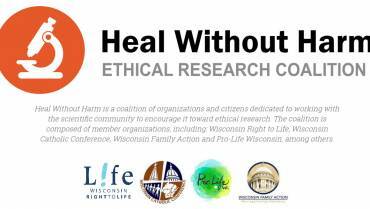 The coalition is composed of member organizations, including: Wisconsin Right to Life, Wisconsin Catholic Conference, Wisconsin Family Action and Pro-Life Wisconsin, among others. Wisconsin has an extraordinary opportunity to lead the nation by championing research that is ethical, innovative, and effective. 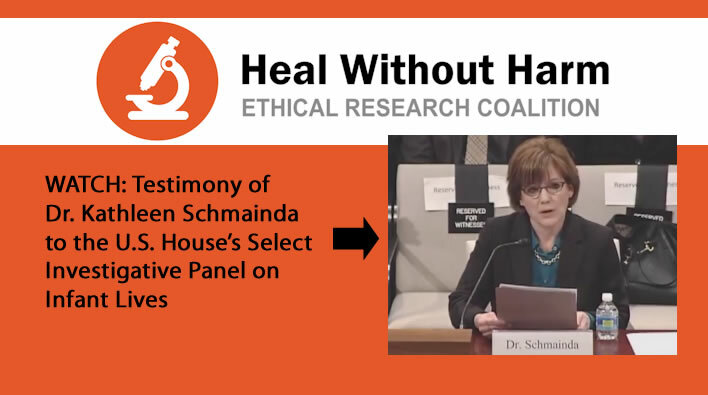 Such a commitment to heal without harm would make our state a destination for scientists who wish to pursue research free of ethical controversy. Currently, some research at both public and private labs around the state utilizes fetal tissue derived from aborted children. This has caused ethical dilemmas for researchers who do not want to experiment on this type of tissue. It has also disturbed many members of the public who do not want to receive medicines and medical treatments that are derived from the unjust taking of human life. Go to Questions & Answers page . . .
Don’t scientists need fetal tissue to develop life-saving cures? No one disputes that fetal tissue is used to advance treatments for diseases and chronic conditions. Currently, fetal tissue is being used to find cures for many diseases, from autism and cancer to diabetes and schizophrenia, to name a few. The issue is the source of the fetal tissue. It can either come from intentional deaths, namely abortion, or from natural or accidental deaths, namely stillbirths and miscarriages (commonly referred to as fetal loss). Scientists currently have a greater supply of fetal tissue from abortion clinics, whereas there are fewer places that collect and distribute tissue from fetal loss. This gap is what the Unborn Child Disposition and Anatomical Gift Act seeks to address. This issue is especially urgent because scientists are beginning to use fetal tissues and cells to directly treat patients who have vision loss, spinal cord injuries, and Parkinson’s. If we do not support and promote the use of ethical tissues, patients will increasingly face the difficult choice of an unethically-derived cure versus no treatment. Won’t research restrictions result in lost jobs and a weaker Wisconsin economy? If enacted, the two bills will no doubt encourage new avenues of discovery and attract new researchers and biotech firms. Indeed, the 2007 discovery of induced pluripotent stem cells (iPS) at the UW-Madison and the University of Kyoto was made possible in part because of the desire to find ethical alternatives to human embryonic stem cells. Today, Wisconsin is one of the leaders in the billion dollar iPS industry. In addition, the Fetal Remains Respect Act permits the use of aborted fetal tissues obtained before January 1, 2017, thus allowing research in progress to continue.